Aldeyra Therapeutics has disclosed positive results from the first of multiple Phase 3 studies of a new type of inflammation-fighting medicine the Lexington, MA, company has been testing in a variety of conditions. The study Aldeyra (NASDAQ: ALDX) reports on this morning is a Phase 3 trial called “Alleviate,” which tested its drug reproxalap against a placebo eye drop in 318 patients with seasonal allergic conjunctivitis, a chronic condition that causes itchy and watery eyes. Aldeyra said both tested doses of reproxalap, an eye drop, led to a statistically significant improvement on a scoring system that measures the severity of a patient’s ocular itching, compared to placebo. One of the two doses also met statistical significance for a key secondary study goal, the number of “two-point responders” on reproxalap, compared to placebo. Aldeyra didn’t report on another secondary goal, which, according to the clinicaltrials.gov database, was to measure eye redness. But, in a statement, the company said there were “no observed safety or tolerability concerns” associated with its drug other than “mild and transient” irritation when it is administered. Aldeyra will meet with the FDA to discuss the results and see what additional steps it has to take before filing for approval of reproxalap. 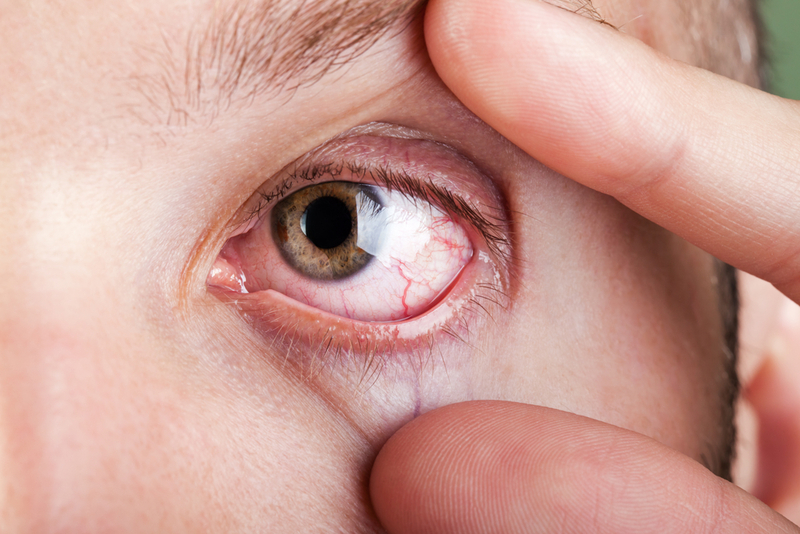 In conjunctivitis, Aldeyra hopes that reproxalab can complement existing therapies and provide another option before patients have to resort to corticosteroids. “We believe reproxalap has the potential to be uniquely effective in post-histaminic allergy, for which no drug is approved, and which affects all allergic conjunctivitis patients,” wrote Stifel analyst Adam Walsh in a recent research note. Aldeyra also said today it closed a $60 million term loan to help back the drug’s push forward. The company’s shares surged 54 percent, to $11 apiece, in pre-market trading on Tuesday. Reproxalab is a medicine meant to “trap” toxic aldehyde molecules, which are common metabolic byproducts. Normally, enzymes in the body chew up aldehydes and make acids or some other product, but when they erroneously build up in the body, they help drive an inflammatory response. Reproxalab is a small molecule that binds to these aldehydes and degrades them. In theory, it should normalize aldehyde levels and reduce inflammation. Aldeyra has been testing this concept in a variety of studies, aiming eventually to treat broad, inflammatory diseases. In addition to the conjunctivitis trial, the company has either started or will soon start Phase 3 studies of reproxalab in three other eye diseases: dry eye disease, noninfectious anterior uveitis, and proliferative vitreoretinopathy. Aldeyra also has a skin-cream formulation of reproxalab that is in a Phase 3 trial in a rare skin condition called Sjogren Larsson Syndrome. Here’s more on Aldeyra, which went public at $8 per share in May 2014.